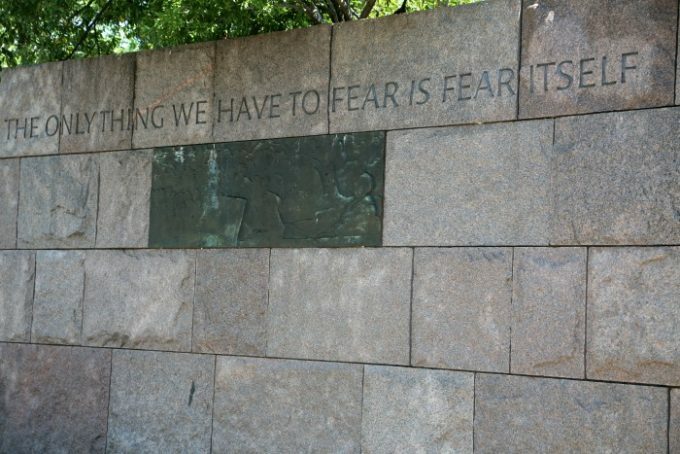 The Franklin Delano Roosevelt Memorial is in Washington D.C. on the Southwestern side of Washington D.C.’s Tidal basin. The memorial covers more than 7 acres and includes four open air galleries, one for each of FRD’s terms. You can also find waterfalls and other water features at the memorial. 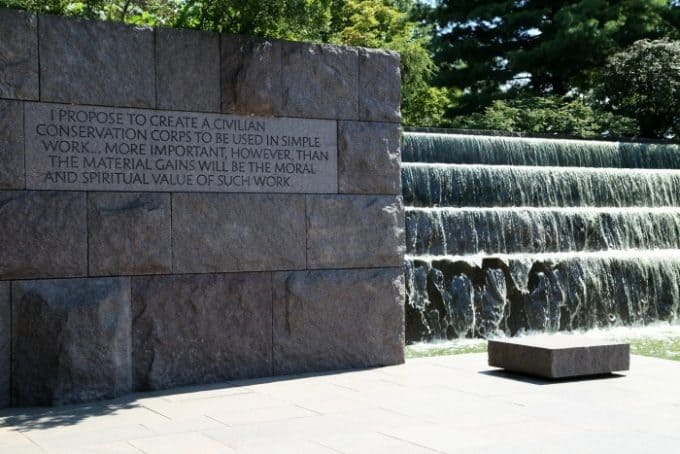 The water features reflect the importance of water in Franklin D. Roosevelt’s life. He served as assistant secretary of the Navy during World War I. 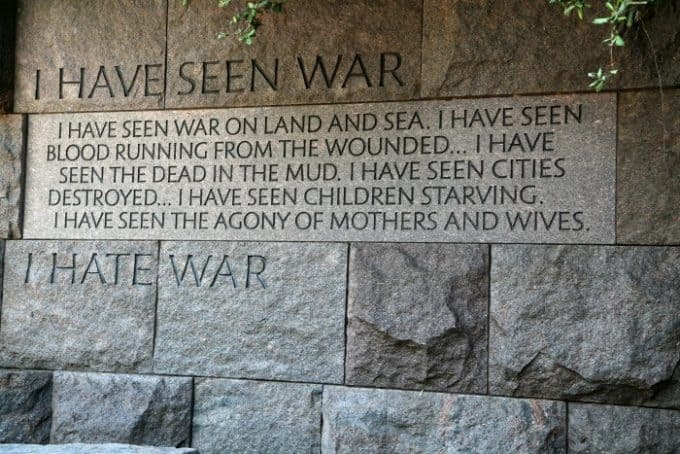 You will also find amazing quotes from Roosevelt. Franklin D. Roosevelt is the only American president to serve four terms. He was elected president in 1932 during the Great Depression. President Roosevelt passed away in office in 1945. As president he led the nation during the depression and served as the commander in chief during World War II. 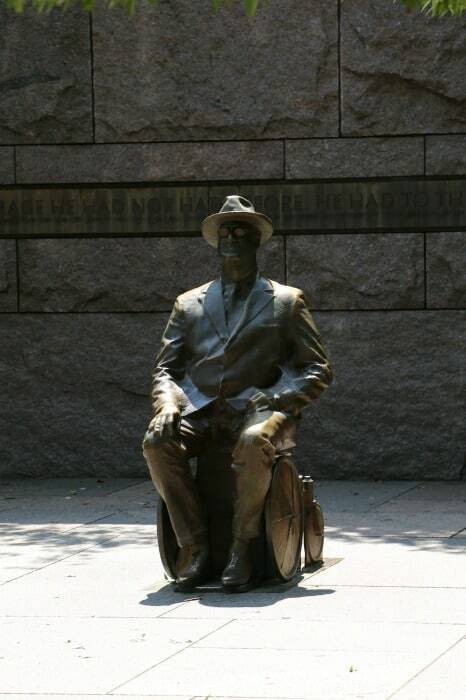 The galleries of the Franklin D. Roosevelt Memorial are dedicated to FDR’s era as well as to the president himself. 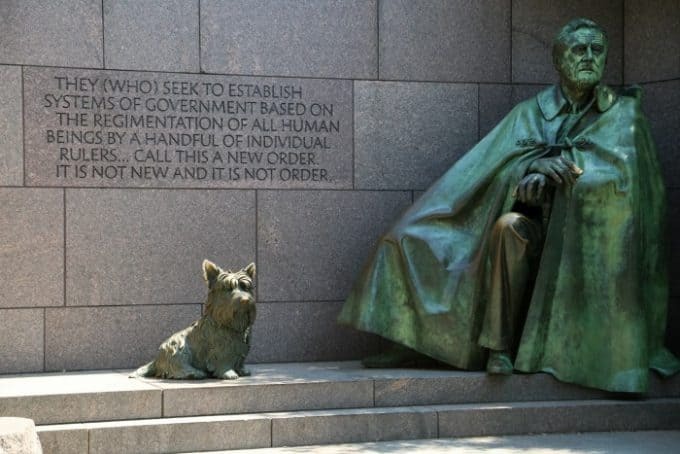 One of the statues is of President Roosevelt with his beloved Scottish Terrier named Fala. The President is buried with his wife Eleanor and their beloved dog at the Home of Franklin D. Roosevelt National Historic Site in New York. There is also a statue of Eleanor Roosevelt standing in front of the seal of the United Nations in recognition of her service as a delegate. 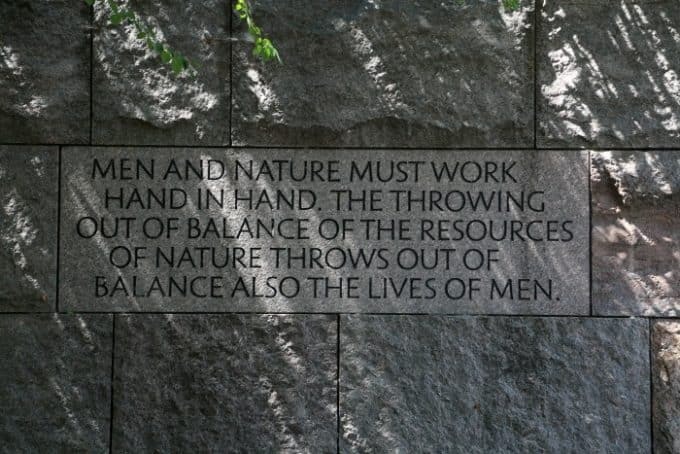 The Franklin Delano Roosevelt Memorial Junior Ranger program is part of the National Mall and Memorial Parks booklet. Visitor Center – This park does not have a visitor center. Park Rangers are available in the area to answer questions about the park.